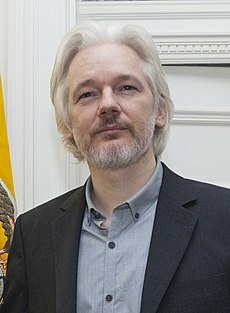 ↑ Gant, Scott (২০ ডিসেম্বর ২০১০)। "Why Julian Assange is a journalist"। Salon.com (ইংরেজি ভাষায়)। এখানে তারিখের মান পরীক্ষা করুন: |তারিখ= (সাহায্য) "Some commentators and government officials have confidently asserted that Assange is not a journalist". ↑ Crowley, PJ (২০১২)। "The Rise of Transparency and the Decline of Secrecy in the Age of Global and Social Media"। The Penn State Journal of Law & International Affairs (ইংরেজি ভাষায়)। Penn State's School of Law and School of International Affairs। ১ (১): ২৪৯। সংগ্রহের তারিখ ২৬ ডিসেম্বর ২০১৩। এখানে তারিখের মান পরীক্ষা করুন: |তারিখ=, |সংগ্রহের-তারিখ= (সাহায্য) "The U.S. government viewed Assange (and WikiLeaks) as a political actor, not a journalist. Ironically, so did some within WikiLeaks itself."